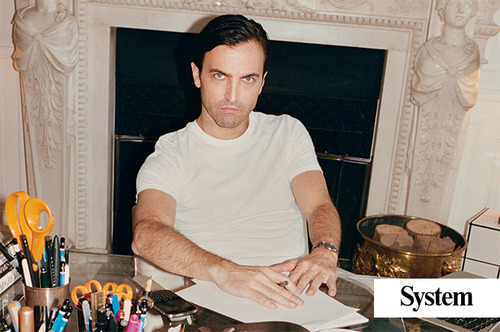 In an interview with System magazine, Ghesquiere finally speaks about his sudden farewell from Balenciaga. He talks about his struggles with the brand and having to manage the business side as well as the creative side. He explains his struggles dealing with making Balenciaga commercially viable and creative, “It was really that lack of culture which bothered me in the end. The strongest pieces that we made for the catwalk got ignored by the business people. They forgot that in order to get to that easily sellable biker jacket, it had to go via a technically mastered piece that had been shown on the catwalk. I started to become unhappy when I realized that there was no esteem, interest, or recognition for the research that I’d done; they only cared about what the merchandisable result would look like.” Therefore, he felt like his creativity was being compromised for the business. But, since his departure, Ghesquiere is looking to the future and sees this as an exciting time for him; a time where he can lead himself into a new venture. Since the release of this interview, there’s been much talk of what Ghesquiere is going to do next. Is he starting his own namesake line? Is he going to work for another fashion house? These questions remain to be unanswered, but with all this buzz people are expecting an announcement in the near future. Whatever Ghesquiere plans to do next, he will surely do it with the creativity and ingenuity we all know and praise him for.